Show your South Carolina secession fervor with this authentic flashy cockade! 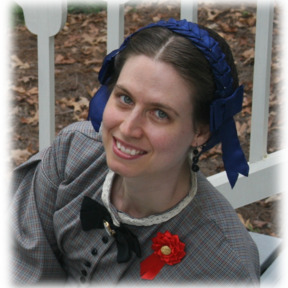 Red satin ribbon with a steel button and the motto "Blood and Steel" on the pendant. Approximately 3" across the rosette and the pendants are about 4" long. Pin back is silver-plated and 1" wide. 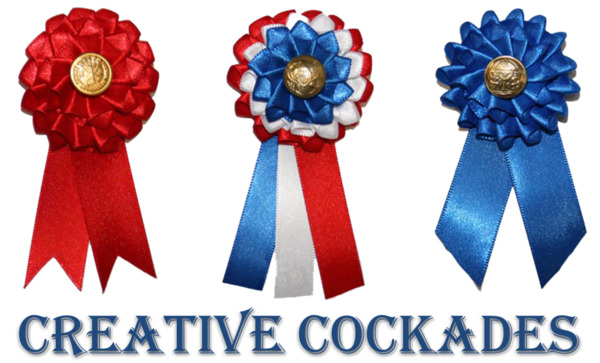 THE BADGES OF LOYALTY.The scarlet cockade and steel button, of which we spoke yesterday, has, we learn, been unanimously adopted by the Edgefield Riflemen, and is now a pledge by them to resist Black Republican rule in or out of South Carolina. 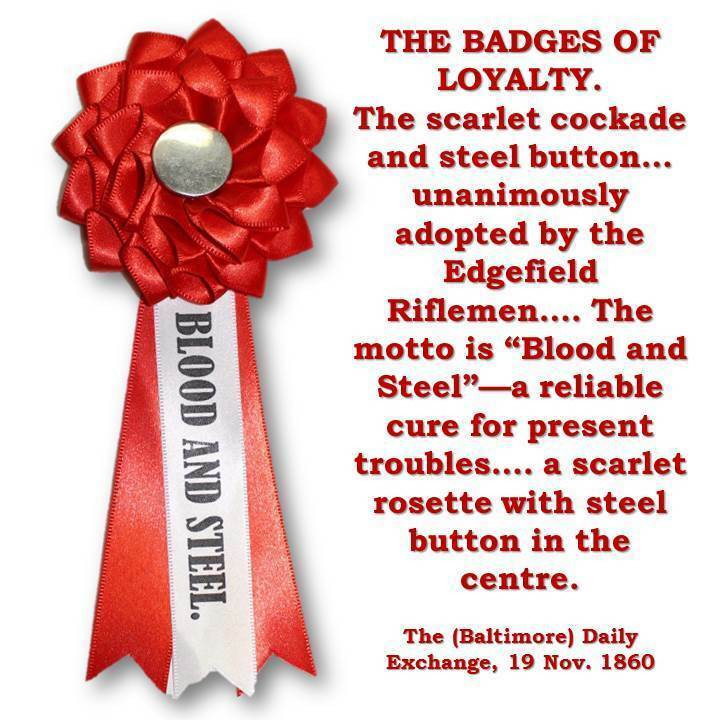 The motto is “Blood and Steel”—a reliable cure for present troubles. A new style of cockade has made its appearance in Charleston. It is made of Palmetto leaves plaited with a border of blue ribbon. Also another pattern - a scarlet rosette with steel button in the centre.